Despite heavy drizzle for the start of the event, Hemyock Tennis Club's autumn Mix-and-Match tournament went ahead on the afternoon of Sunday, October 28th. Six (mostly mixed) couples, paired at random, played an 'American-style' tournament of five rounds of five games each. After a few rounds in the wet, blue sky appeared and the final games were played in autumn sunshine. 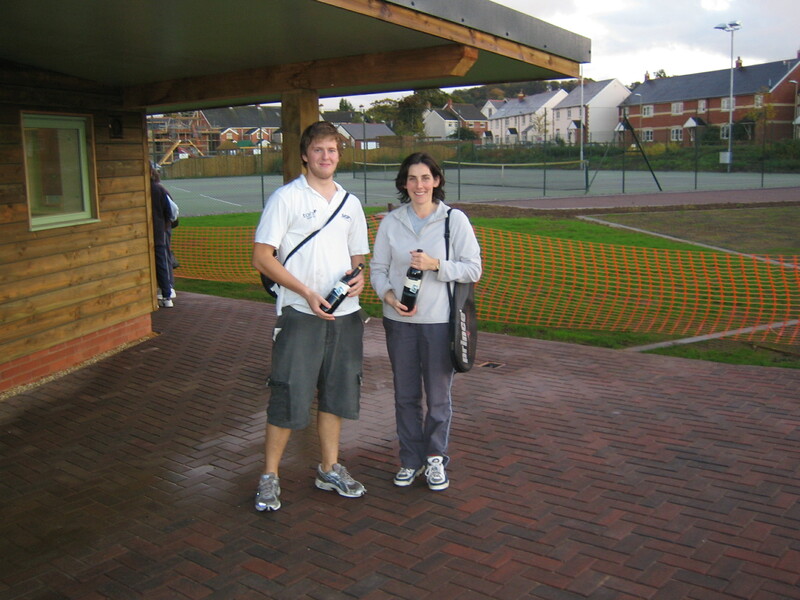 Winners Ed and Rachel (pictured) received a bottle of wine each in recognition. Organisers, competitors and spectators enjoyed refreshments and a chat afterwards in the welcome shelter of the new (nearly completed) pavilion. Thanks to everyone who turned out to make the event a success.